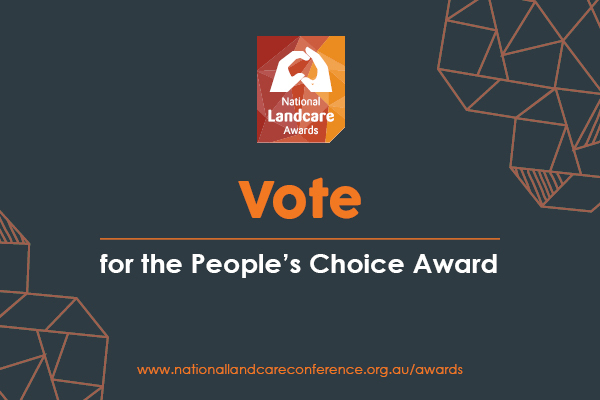 Whether it be raising awareness about the plight of the threatened Atlas moth, inspiring young adults to join the Landcare movement, removing thousands of pieces of litter from our foreshores, or educating the community about Indigenous land management practices, there’s no doubt our 2018 National Landcare Award finalists are an inspiring bunch. This year there are 65 finalists nominated across nine categories. In our opinion, each and every one of them is a champion. In addition to their respective categories, each finalist is also in the running to win the People’s Choice Award. This highly-coveted prize is presented to the finalist who receives the most votes from the general public in the lead-up to the awards. Help us pick a winner by casting your vote for the People’s Choice Award.